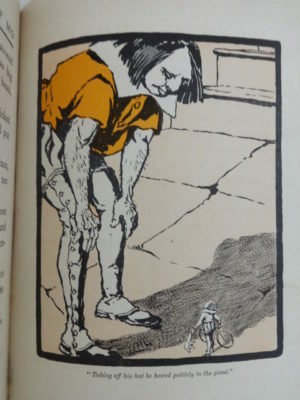 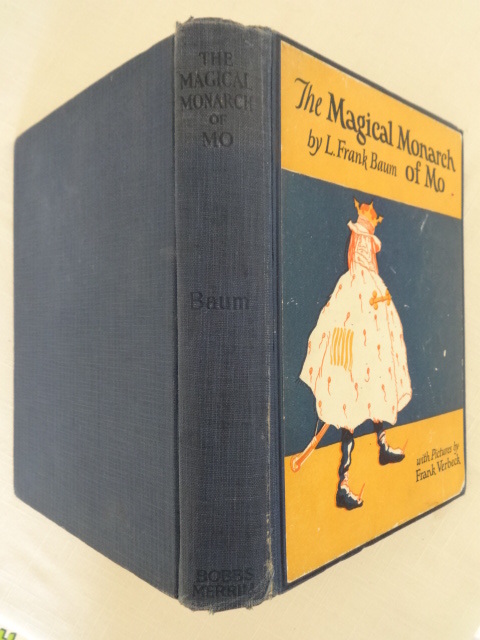 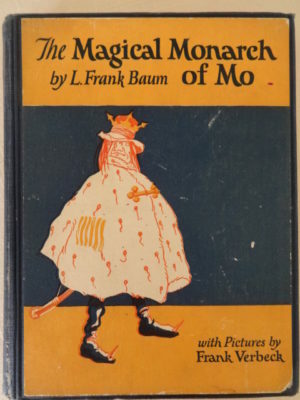 This is a nice find: the Magical Monarch of Mo, by L. Frank Baum, printed by Bobbs-Merrill in 1920’s, copyright 1903, new, more colorful cover label. 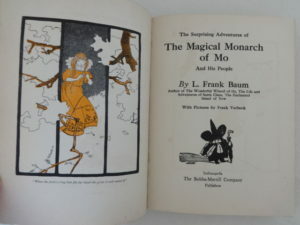 Points according to The Book Collector’s Guide to Baum. 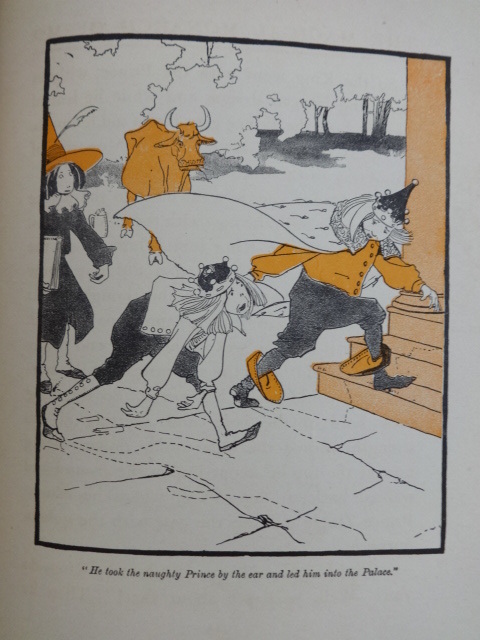 With 8 plates printed in orange and black and many black and white illustrations by Frank Verbeck. 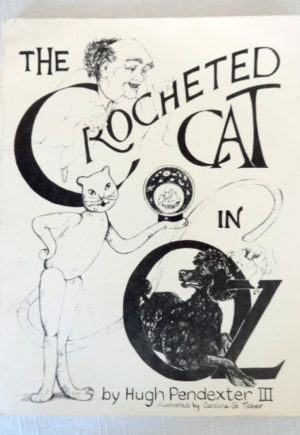 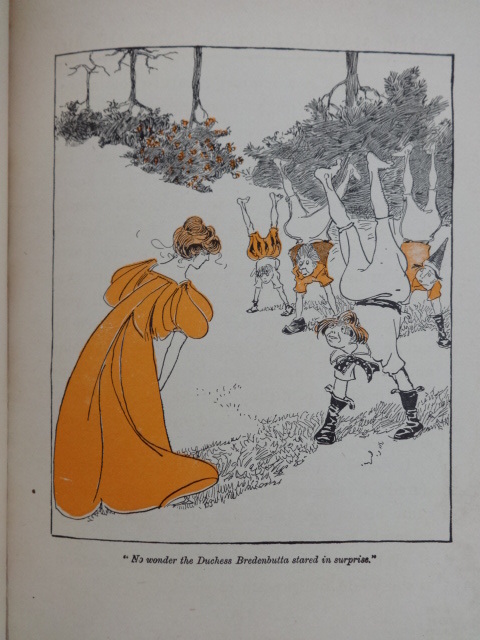 One of Baum’s most clever and entertaining works, based on the earlier and rare “A New Wonderland”. Book is in good plus condition. 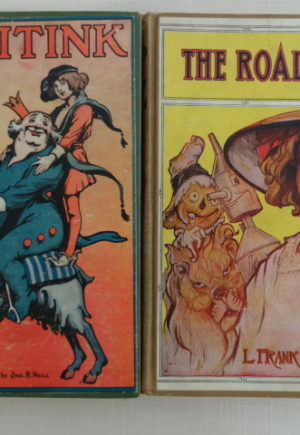 The cover has some rubbing and a chip to the corner of the pastedown, spine has some wear to joint. Inside, the hinges are holding. 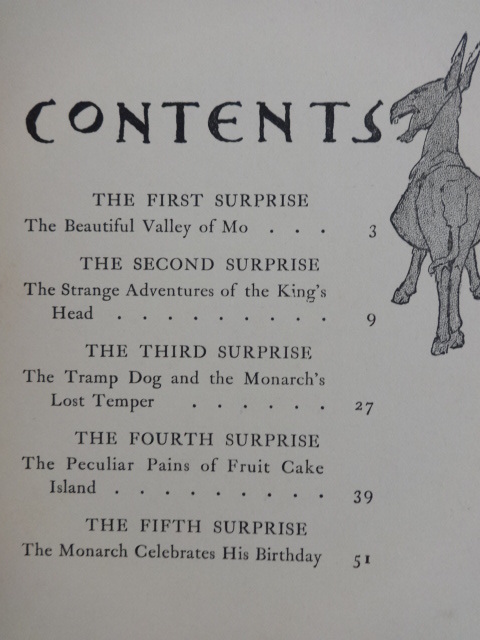 Endpapers have foxing and soiling with bookseller’s old pencil notations. 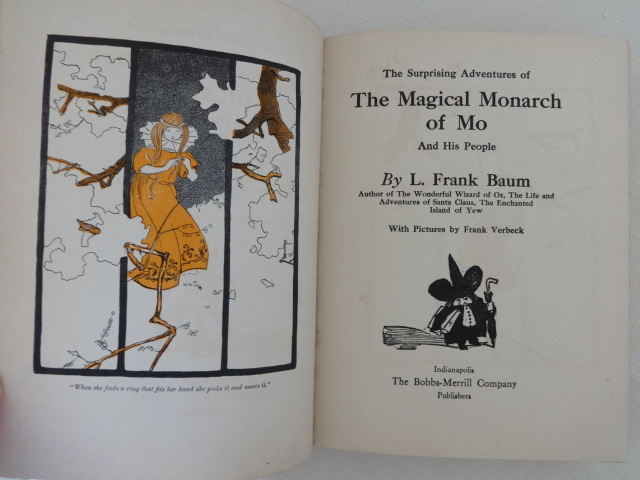 All 8 color plates are present and in quite good condition, as are the text pages. 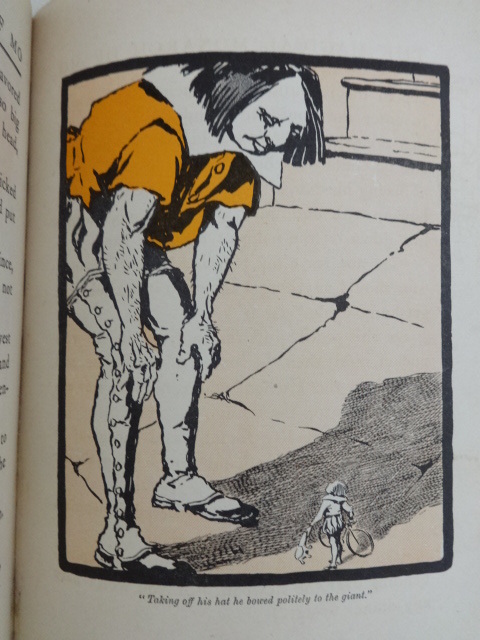 Verbeck’s work is quite entertaining.